A Butts County businessman is asking the Oconee County Board of Commissioners at its meeting on Tuesday evening to approve his plans for a 32-acre commercial development on Mars Hill Road at U.S. 78 that could include a hotel and a big box store–possibly a Publix grocery. 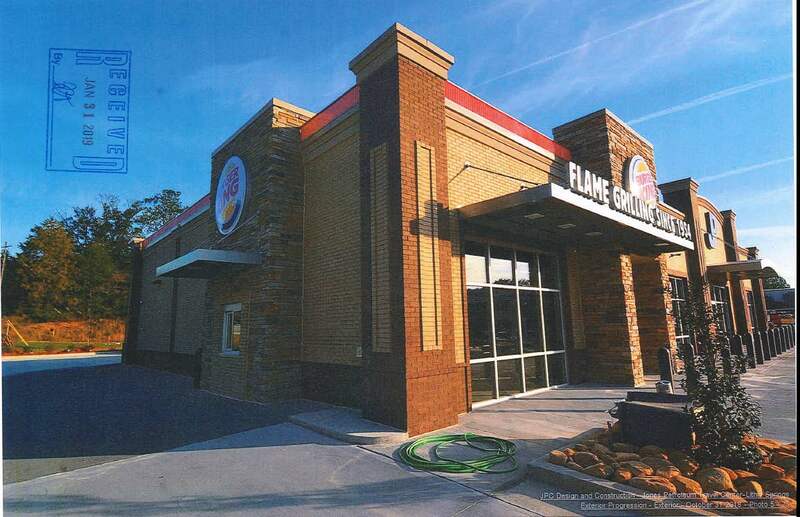 Plans for the initial phase of the project call for a JP convenience store and gas station with 20 fueling positions and Burger King with a drive through lane to replace the BP station and small shops already at the northwest corner of Mars Hill Road and U.S. 78. 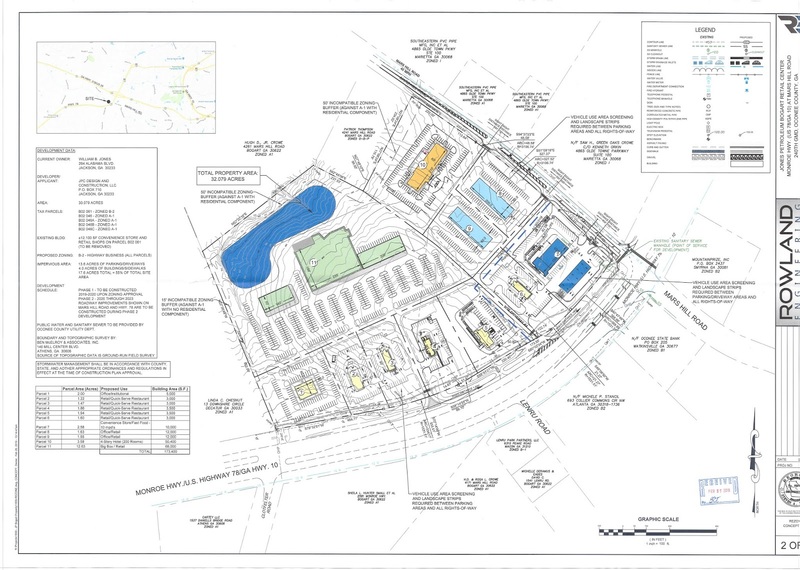 The Oconee County planning staff has recommended approval of the rezone Bill Jones will need to make it possible for him to develop his commercial complex, but it also recommended that the Board of Commissioners place 11 conditions on the rezone. Jones and his engineer rejected those conditions, though they said their opposition was firm for only three of the 11. The Oconee County Planning Commission voted 7 to 3 not to recommend approval of the rezone at its meeting last month, in part because of Jones’ resistance to the conditions and because some felt the development was incompatible with the county’s land use plan. 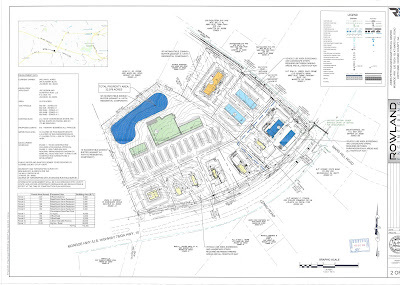 The Board of Commissioners is scheduled to take up the rezone request by Jones as well as another request for a rezone modification for a small business and office park on Mars Hill Road just north of Butler’s Crossing when the commissioners meets at 6 p.m. on Tuesday at the Courthouse in Watkinsville. Jones, who owns Jones Petroleum Inc., based in Jackson in Butts County between Atlanta and Macon, is asking the Board of Commissioners to rezone parts of the 32-acre site from A-1 (Agricultural District) to B-2 (Highway Business District). The 32 acres consists of five different parcels, and one of those, which now houses Aj’s convenience store and gas station, already is zoned B-2. According to county tax records, Jones purchased the five parcels from the Crowe family estate on Jan. 10 of this year for $3.25 million. 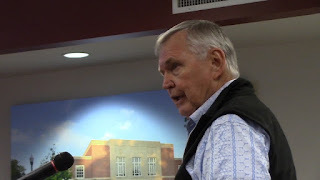 Jones told the Planning Commission at its March 18 meeting that he initially was interested only in purchasing the 1.5 acres on which the existing building sits but was not able to do so. The single building on the site is home to the convenience store and gas station, a florist, and a beauty salon. Its square footage is 11,795, according to county tax records. Jones said his fuel distribution company had a contract with the owners to supply petroleum to the station and was interested in upgrading the site for his own convenience store and gas station and for a Burger King restaurant. What Jones is proposing is a two-phase development, with the first phase being demolition of the existing retail building and gas station and construction of a 7,200 square foot convenience store and gas station with 20 fueling positions and a 2,800 square foot Burger King with a drive through lane. Six of the buildings in phase two front on U.S. 78. In recommending approval, the staff set forth 11 conditions, including prohibition of “Illuminated and LED signage,” elimination of one of the driveways, and prohibition of certain uses allowed in B-2 zones. Dennis Norton, 1121 Liberty Lane, across U.S. 78 and west of the proposed development, was the sole citizen who spoke at the Planning Commission, and he took issue with the planning staff determination that the development was consistent with the Technology Gateway character area. Norton, who said he had a background in planning, was particularly opposed to inclusion of the big box store in the concept plan. Bill Yarbrough, Planning Commission chair, doesn’t vote unless there is a tie, but he often makes comments as the meeting progresses. He said as the discussion among commissioners began, that he was comfortable with the upgrade of the property already rezoned B-2 but not with the proposed second phase. Yarbrough said he was concerned about the nature of development from Mars Hill Road to SR 316, where the Board of Commissioners recently approved a rezone to allow for another commercial development. A Burger King also was mentioned in discussion of that project. Planning Commission member Karen Hilyard said the proposed development is “not in keeping with what the area is supposed to be,” citing the Technology Gateway classification. Maria Caudill, another Commission member, said she was concerned that Jones objected to the conditions proposed by the planning staff. Steven Rowland with Rowland Engineering of Macon, representing Jones, said initially that he wanted all of the 11 conditions recommended by the planning staff to be dropped, and Jones repeated that request. Subsequently, Rowland said he could accept some of the conditions, but not the restriction on signage, a prohibition of an entrance off Mars Hill Road at U.S. 78, and prohibition of some of the uses listed by the staff. Rowland said specifically that he wanted to be able to include a tire and lube store, a new car dealership and a car wash in allowed uses. Hilyard made a motion to recommend denial of the request, and that motion was seconded by Steven Strickland. In the final vote, Hilyard and Strickland were joined by Caudill, Penny Mills, George Rodrigues, T.L. Turman and Bruce MacPherson. Mike Floyd, Charles Hunt and Brad Tucker voted against the motion. Stan and Regina Chasteen, owners of Carpets Unlimited, are asking the Commission to modify two rezones from back in 2000 of five acres they own on Mars Hill Road between Woodlands Road and Rankin Road and to grant them a special exception variance. The couple wants to build an office condominium complex at the rear of the property and construct a commercial building at the front. Part of that commercial building would be used for a carpet store, the couple told the Planning Commission at its Feb. 18 meeting. The rear of the property already is zoned for the condominium complex, but the new plans would reduce the number of buildings from seven to five. The front of the property already is zoned for commercial use, but the new proposal is to increase the square footage of that building from 5,500 square feet to 11,000 square feet. The Chasteens are requesting a reduction in required incompatible-use buffers from 50 feet to 10 feet along the southeastern property line adjoining a single-family residential use and from 25 feet to 10 feet along the northwestern property line adjoining multi-family residential zoning. The Planning Commission recommended approval of the rezones but, following county proceduers, did not act on the variance request. 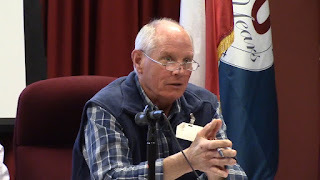 The video below is of the full March 18 meeting of the Oconee County Planning Commission. The rezone request by Jones begins at 0:55 in the video. I did not attend the meeting. Sarah Bell did attend and recorded the video. Developers come into this beautiful county to overbuild and off they go. BOC hasn’t seen a development they won’t approve or buffers they won’t allow. The citizens on the Planning Commission are not heard by the BOC. Between the developers and the politicians the county is being destroyed. The planning commission is striving to enforce the recent land use plan. If the commissioners allow this entire project to go forward, there really was no reason to make a land use plan. The commissioners should follow the lead of the planning commission. This guy just wants to leave us a mess. This clearly is not technology oriented. I've lived here for 20 years and this is the typical bait and switch tactic that developers use. First they ask for a larger development than they believe will be approved and are usually denied. Then they graciously agree to what appears to be a reduction in the size of there original proposal when all along that's what they wanted in the first place. Or if the Board Of Commissioners are feeling extra generous they get the initial rezone anyway. It's a win win for them and a another huge loss for Oconee County that just faintly resembles what it was just 20 short years ago or even 10 years ago. The board will approve this as usual. They use the land use map for toilet paper. I have watched this county degrade in the 45 years I have been here. Its always been what out of town developers want, they get. I just wanted to make a mention as to Publix possibly building on this development. Publix doesn't specifically build its stores by looking at how close they are to each other, but they do take into account of the market that a new location is in, along with the viability of that new store to another. I also believe that this would be a nice addition for northern Oconee to have a grocery store especially considering the new homes coming along in this area.